I updated the Witherstorm mod! It's updated! It's awesome! It's my most complicated mod yet!!!! The infamous Witherstorm from Minecraft story mode!!!!!!! I worked and worked on this and it is now out of ALPHA. 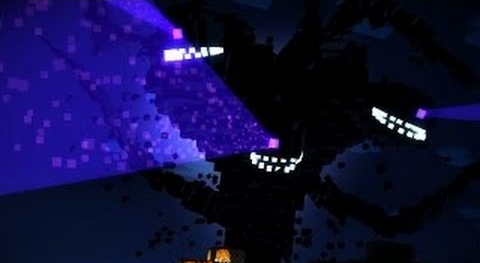 Instead of a huge wither, It is the actual witherstorm! Reply and tell us of your fight with the monster! Can someone tell me if it works? I have a Chromebook that is not compatible with Minecraft. It takes a lot of memory. Sorry. It is going to be updated again!!!!!!!! This is going to be big!!!!!! I looked at your mod, and I noticed the block that says "Give Infinity of item type ARROW to player me". You shouldn't put "Infinity" in the number block unless you want a broken mod. However, you made the entire function repeat every half-second, so you can change "Infinity" to 1. I tried to test a fixed version of your mod, and now I have two invulnerable invisible withers on my server. If you know how to back up a server, I need to know. You can click on the my stuff tab in the middle of your learntomod homepage, then scroll down to worlds -- that will show you a record of all of the worlds you've downloaded (including any mods or structures that are in that world that you've added and have stuck around). The first world in the list is your current world. Just click the world you want to return to and click the green put on server button. However, keep in mind that if there are any endlessly looping or problematic mods on your old worlds, those will return as well. But it's easy to fix that, if happens. Just download a new world. To download a new world (click the what's hot tab then choose a world, click it and press the green put on server button. I recommend ONLY choosing a curated world.